TheAutomaton (Grade: A–) One of King's best, even though it loses points for suffering from the same problem with endings that affect (in my opinion) all of King's novels. He is able to keep a novel going for hundreds of pages and then as soon as the ending is in sight, it all falls apart. The first 75% of the book makes up for it, however. abrown35 (Grade: A–) The jumps from present to past are so seamlessly successful that the book is hard to put down. I would agree with others that the conclusion is a bit of a let down; however, I attribute this to the simply fact that what we can conjure up in our own imaginations becomes muddled by reality once it is written down. TheyAllFloooat (Grade: A) The book has so much horror that the film did not even touch upon. The additional content alone makes it re-readable. TheKeyLime (Grade: A) On of my favorite King novels and I cannot wait to reread. Aside from one, very bizarre scene, this is phenomenal. 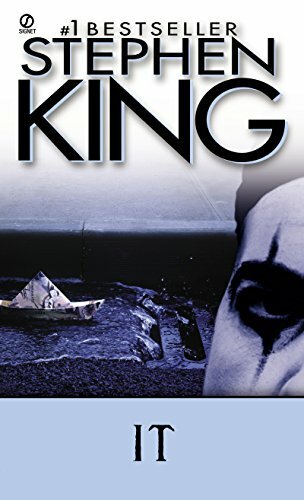 King is a master at capturing the uncertainty of being a teen, and creates a great sense of place, and the eerie, uncanny awfulness of a small town constantly beset by tragedy and horror.